Voters in Alabama and West Virginia passed constitutional amendments in their respective states that protect the lives of the unborn. The amendment in Alabama grants “fetal personhood” to unborn babies and agrees to “recognize and support the sanctity of unborn life and the rights of unborn children.” With this measure, the state Constitution rejects any provision of a right to an abortion or to funding for abortion. In West Virginia, voters passed a constitutional amendment that essentially states there is no right to abortion or abortion funding. Oregon citizens, however, rejected a ballot measure that would have banned public funding of most abortions. Measure 106 was a response to legislation, signed into law in 2017 by Democrat Gov. Kate Brown, that required nearly all taxpayers to fund free abortions on demand for all women regardless of their ability to pay or their citizenship status. “While the leaders in West Virginia, Alabama and Oregon had three different approaches to abortion-related law; they all agree that the values of the people of their states – rather than of a few judges – should be most important,” Hawkins added. Democrat West Virginia Sen. Joe Manchin, however, won his re-election bid against the GOP’s Patrick Morrissey. Though Manchin claims he is “pro-life,” he said he would vote against the amendment in his state. In the Senate, Manchin has also voted to continue taxpayer funding to abortion business Planned Parenthood. “It’s interesting that those Senators in tight races who voted against the confirmation of Justice Kavanaugh lost tonight while West Virginia rewarded Sen. Joe Manchin with another term in office,” Hawkins said. Pro-life activists did pick up the seats of several champions of life in the U.S. Senate Tuesday, making it less likely their initiatives will be dependent on pro-abortion rights GOP Sens. Susan Collins of Maine and Lisa Murkowski of Alaska. 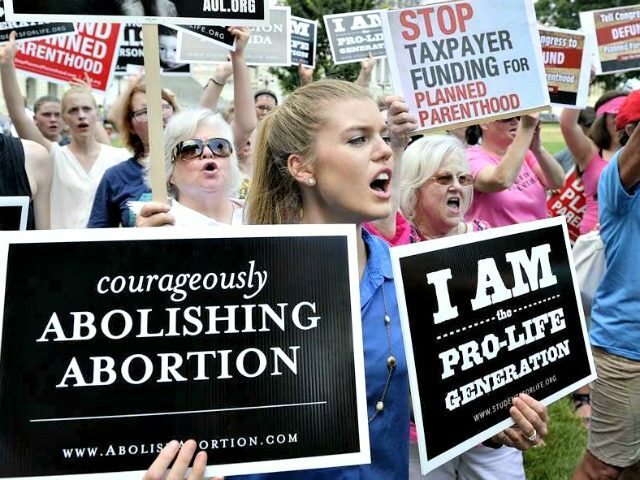 Josh Hawley defeated pro-choice Democrat Sen. Claire McCaskill in Missouri, and Mike Braun beat Indiana Democrat Sen. Joe Donnelly – who also claims to be pro-life, but votes to fund Planned Parenthood. In addition, Republican Kevin Cramer, an opponent of abortion,defeated Democrat Sen. Heidi Heitkamp in North Dakota. Governors’ races in Iowa, Florida, Georgia and Ohio all yielded pro-life Republican winners as well. With Democrats in control of the House, however, the issue of life may be in danger. Since they now have control of the U.S. House of Representatives, we can expect pro-abortion Committee Leadership as well as legislative initiatives that advance a pro-abortion agenda. All pro-life gains made by this Administration will come under fire, and we will no doubt see efforts to expand taxpayer funding for abortion as well as the erosion of conscience rights.